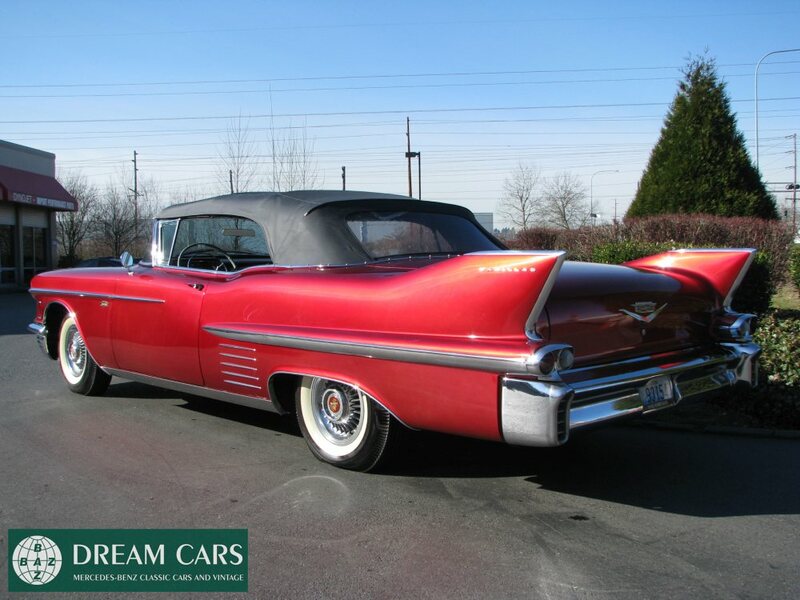 Baz Dreamcars proudly presents one of the greatest American automobile icons in history. 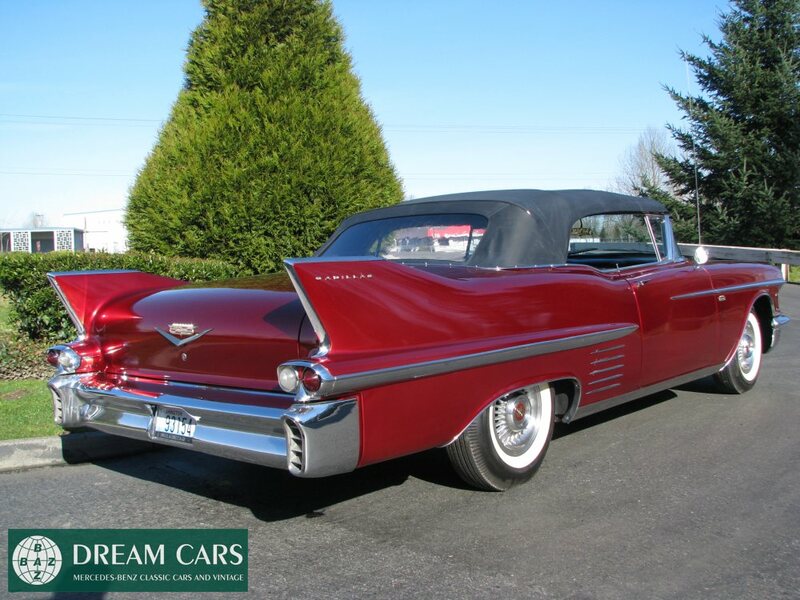 The latest owner of this magnificent 1958 Cadillac Series 62 Convertible purchased this car himself in 2008 from Daniel Schmitt & Co. for an unbelievable 80.000.-$$. 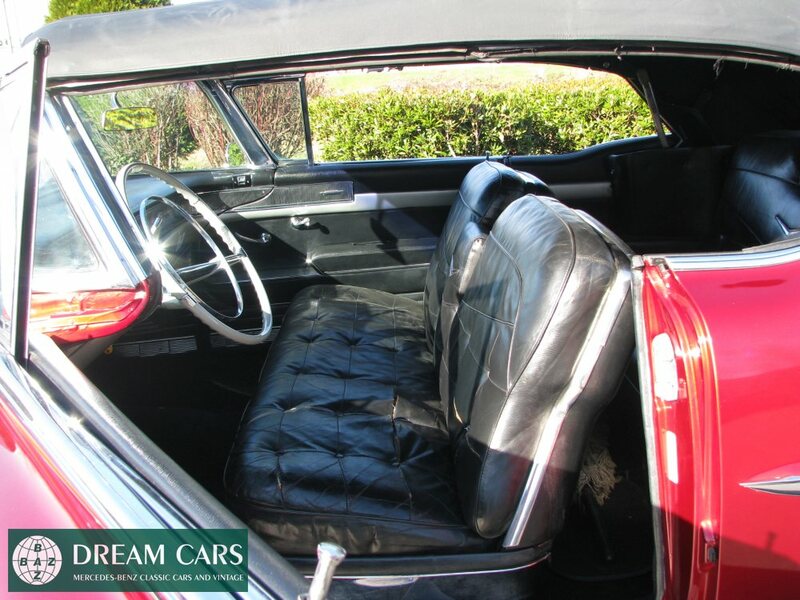 During his 4-year stint he decided to go thru a partial restoration project with the car and repainted the car, which was originally finished in Alpine White 012, in its current color Dakota Red 050 color for almost 8.000 USD$. 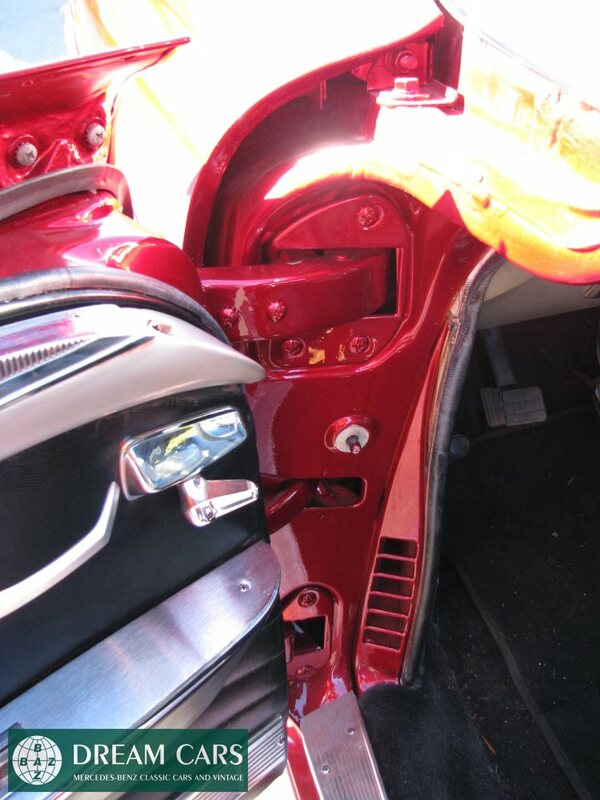 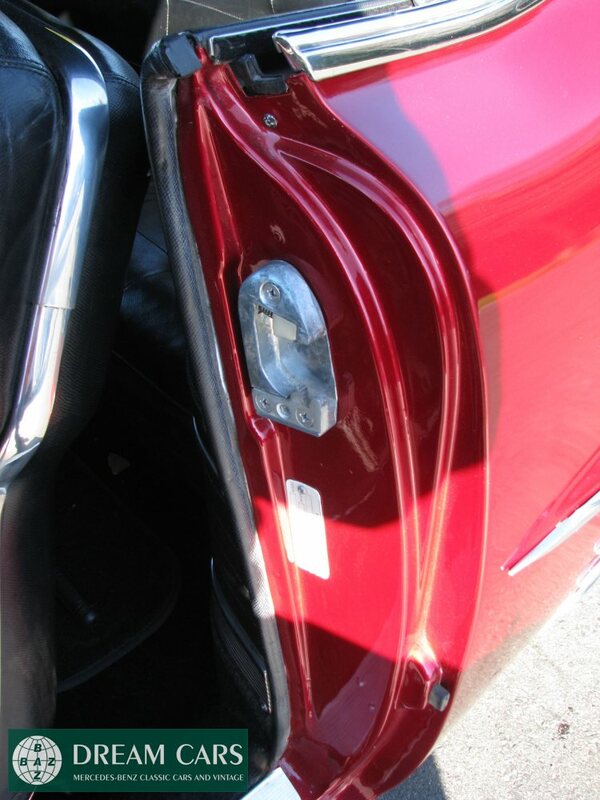 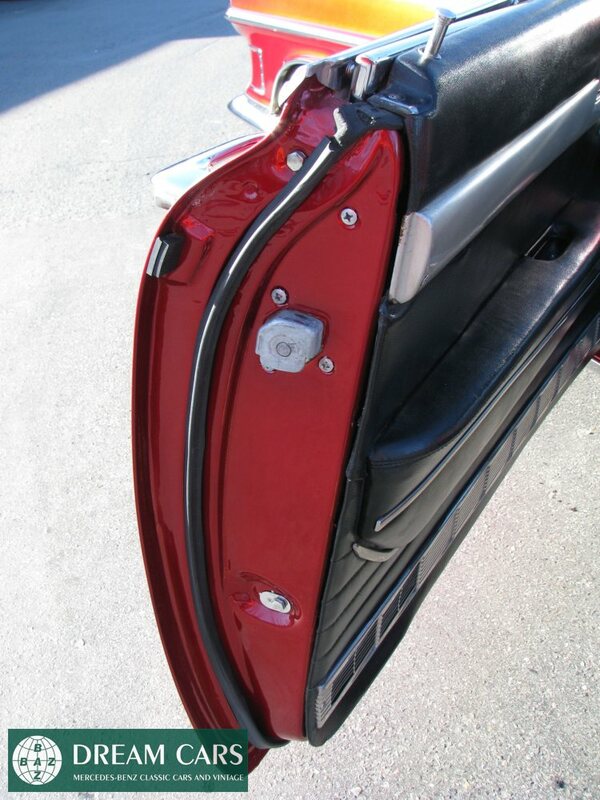 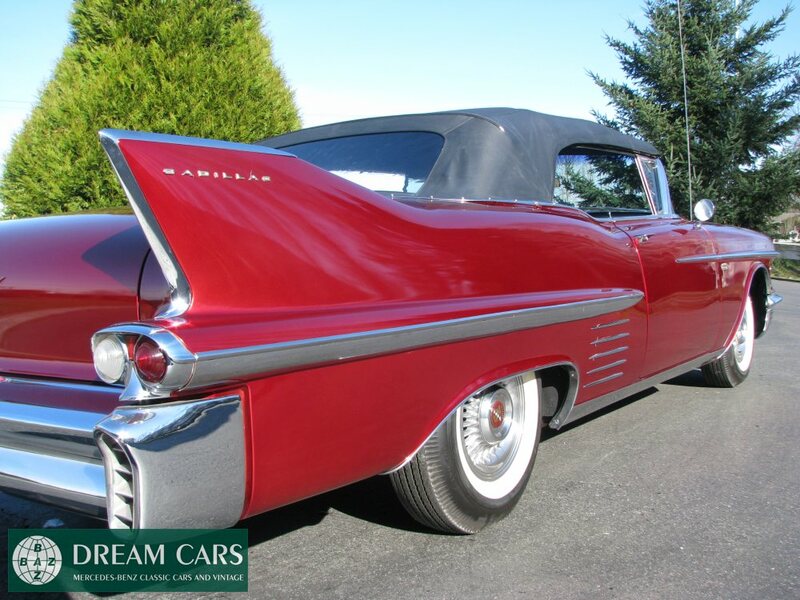 Furthermore, he spent a fortune on new chrome all over, a new convertible power top was installed, a new partially rebuilt engine was completed. 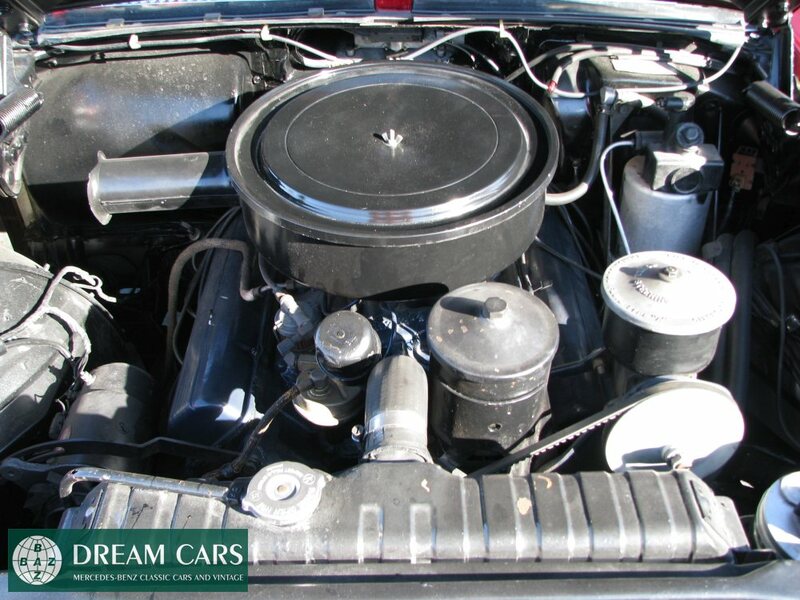 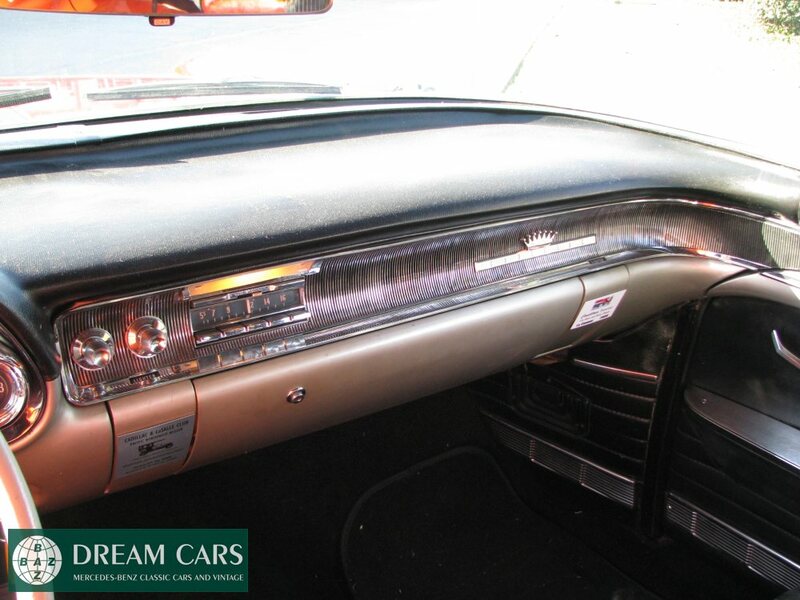 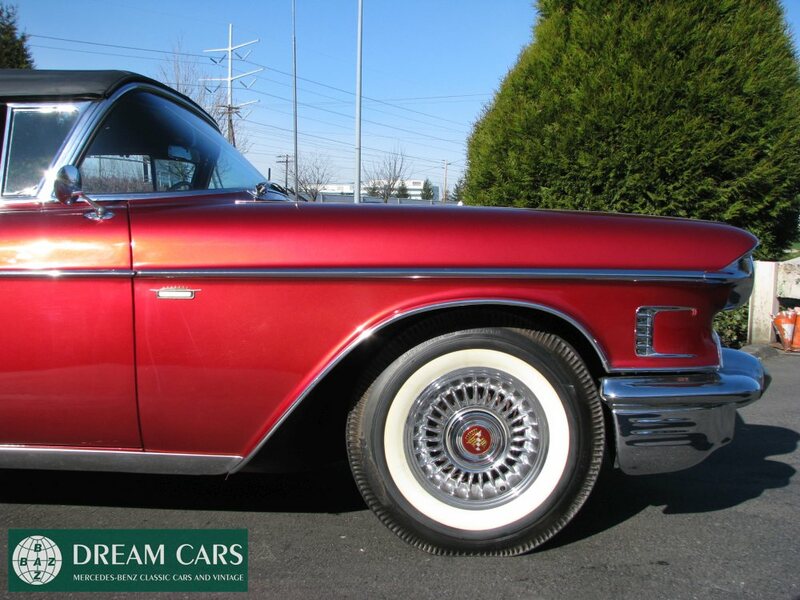 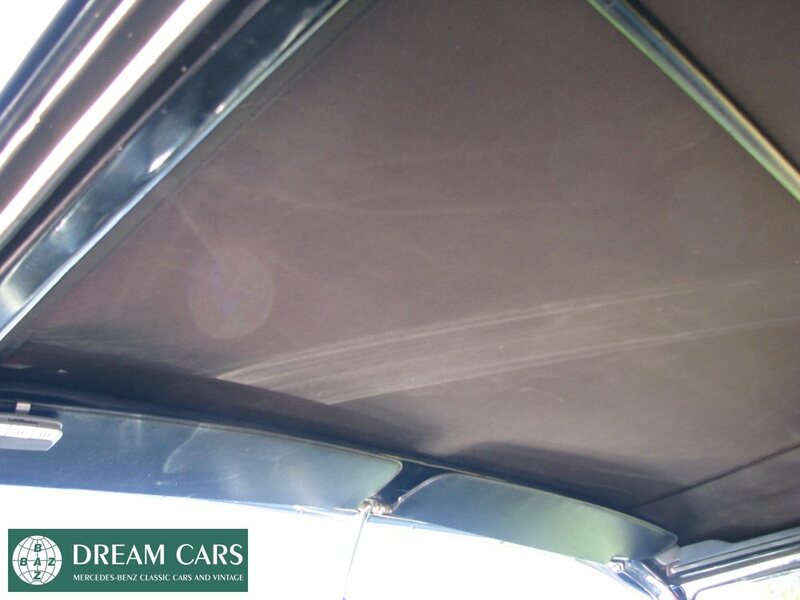 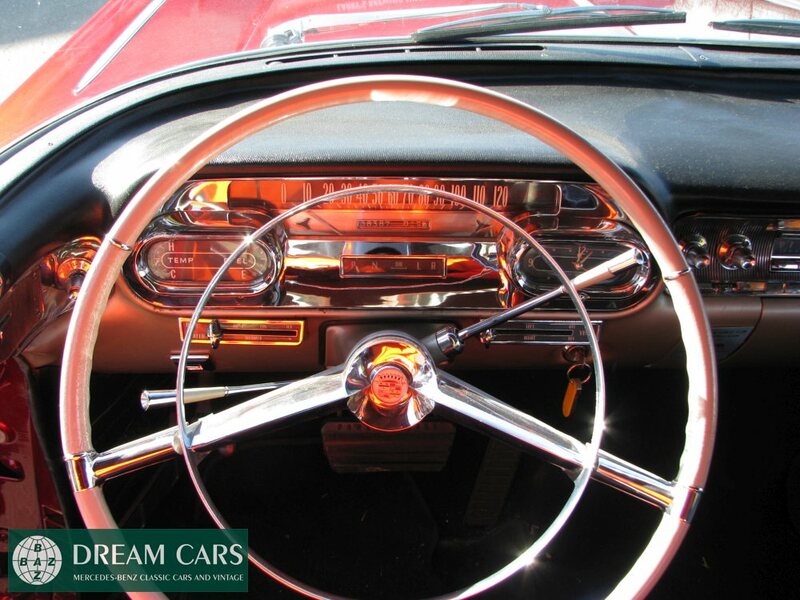 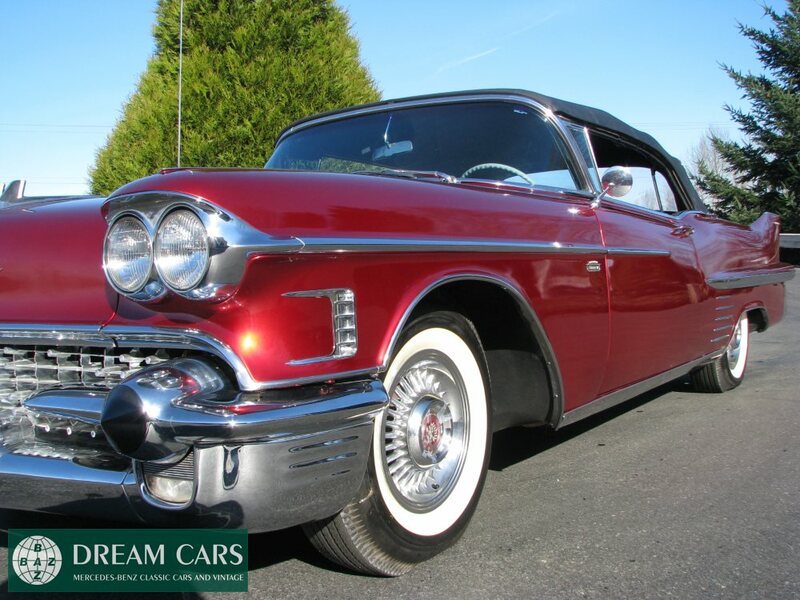 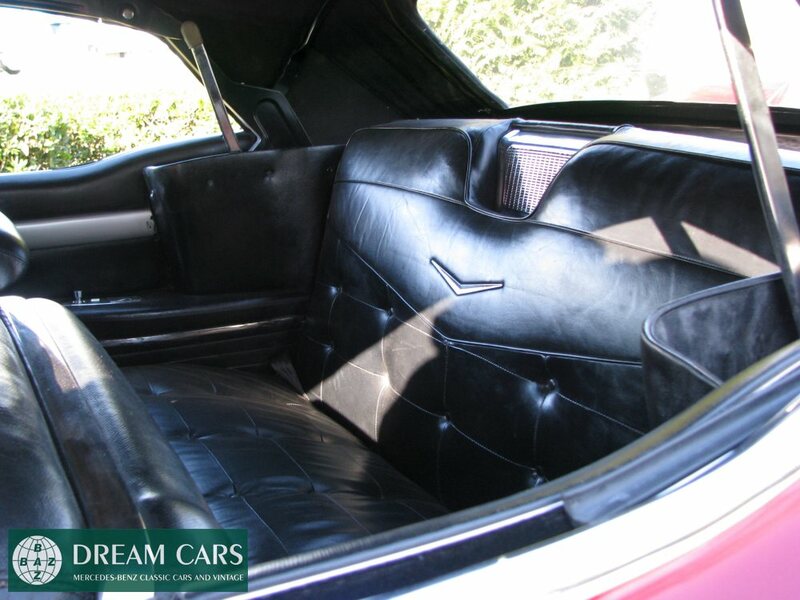 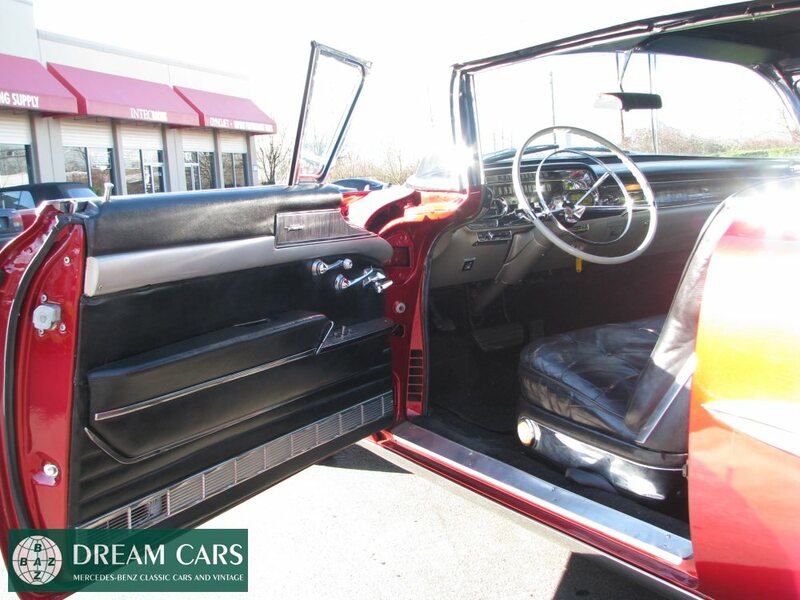 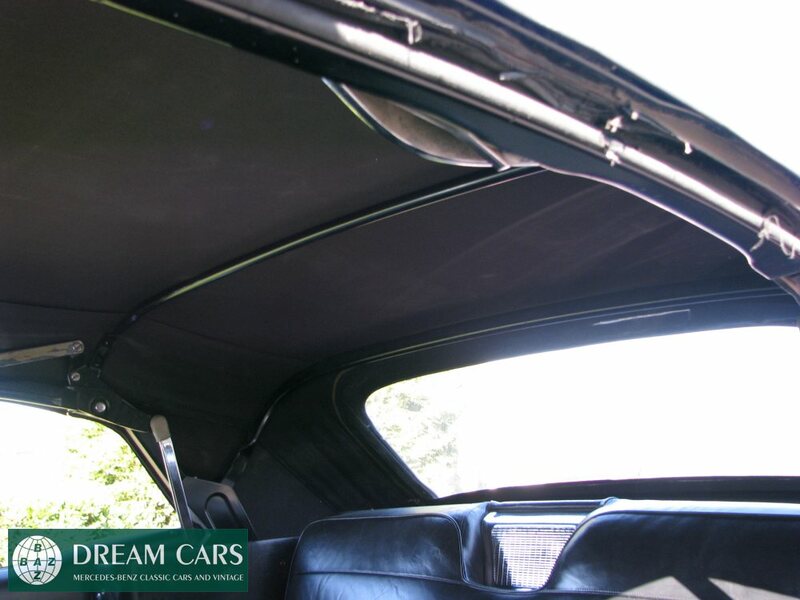 Impeccably kept still original leather interior and matching power convertible top. 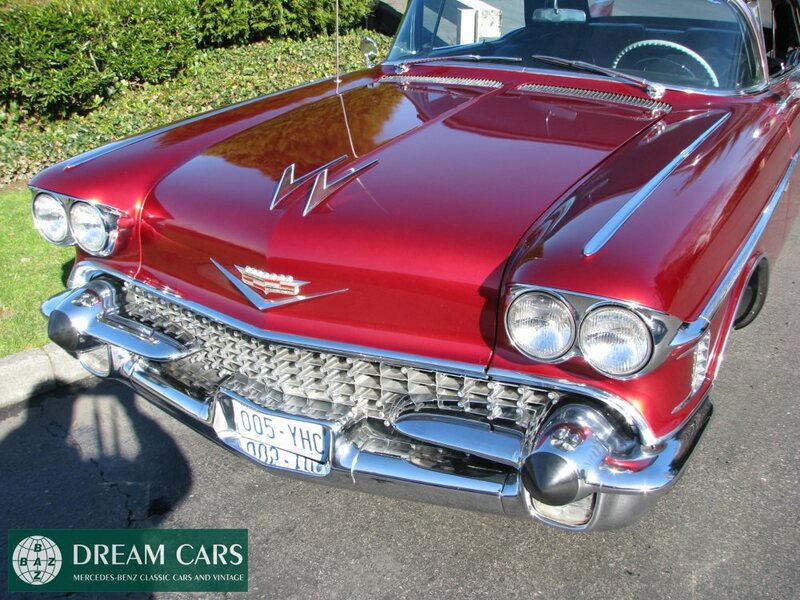 This spectacular Cadillac has only 39.000 actual miles according to info from the last owner and comes loaded with almost all options. 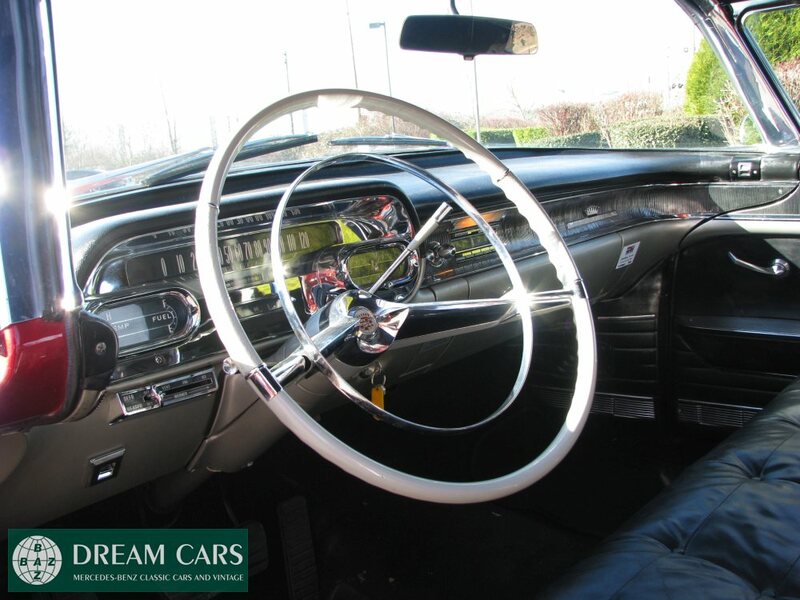 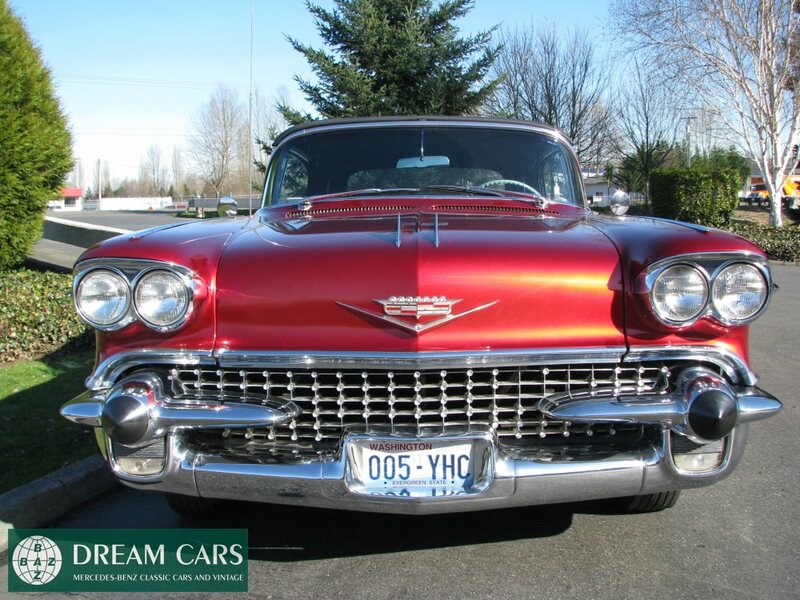 This Cadillac has been beautifully preserved and maintained all its life and is one of the nicest original examples known to us. 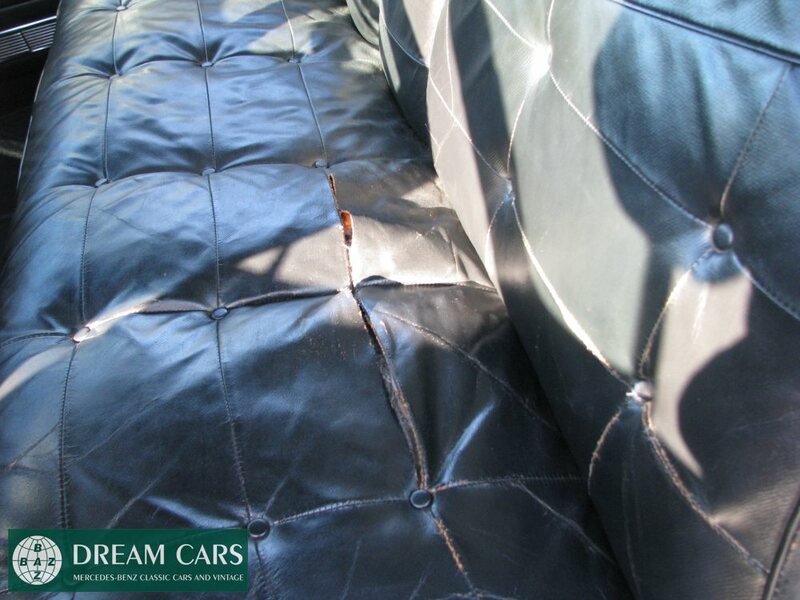 Surely, this car would be a top candidate for a museum, top collection or an investor who appreciates low miles and superior condition. 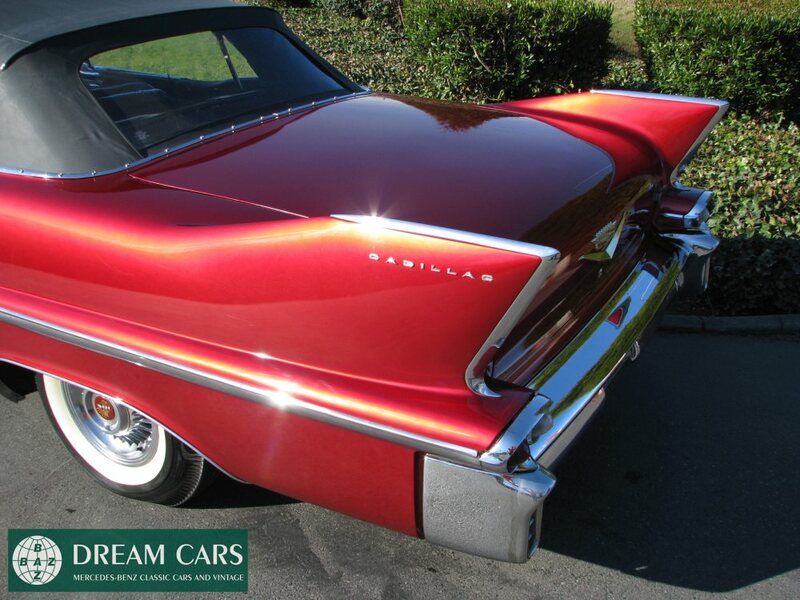 The craftsmanship that went into building this all American masterpiece is simply spectacular and breathtaking. 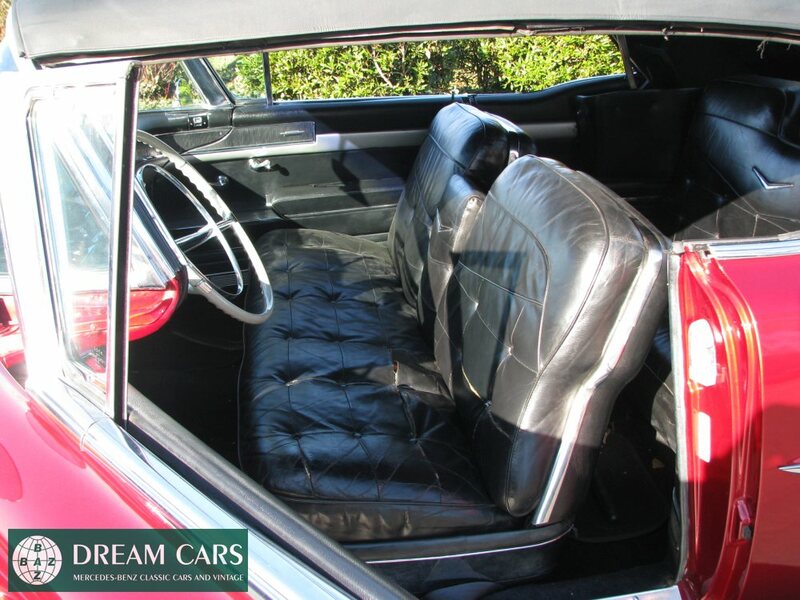 Seldom does a Cadillac come across a time capsule such as this, even the original leather interior still appears in very good condition. 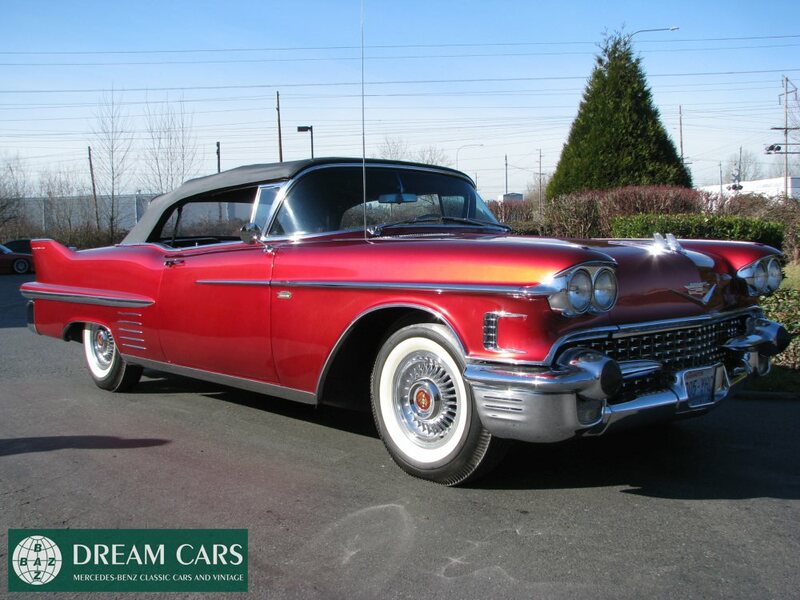 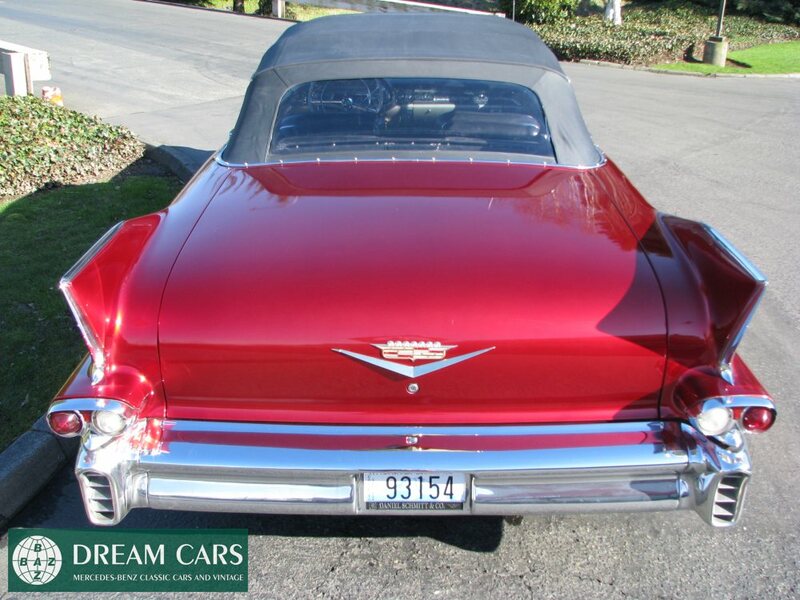 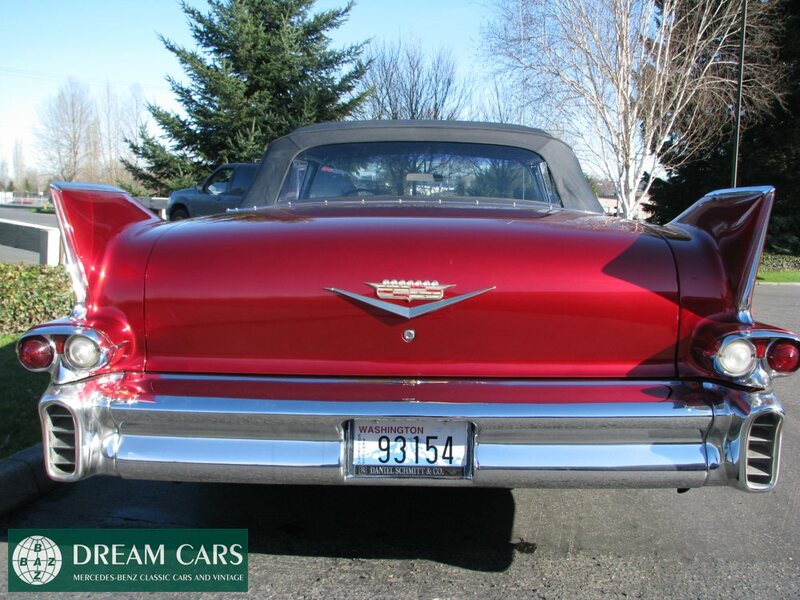 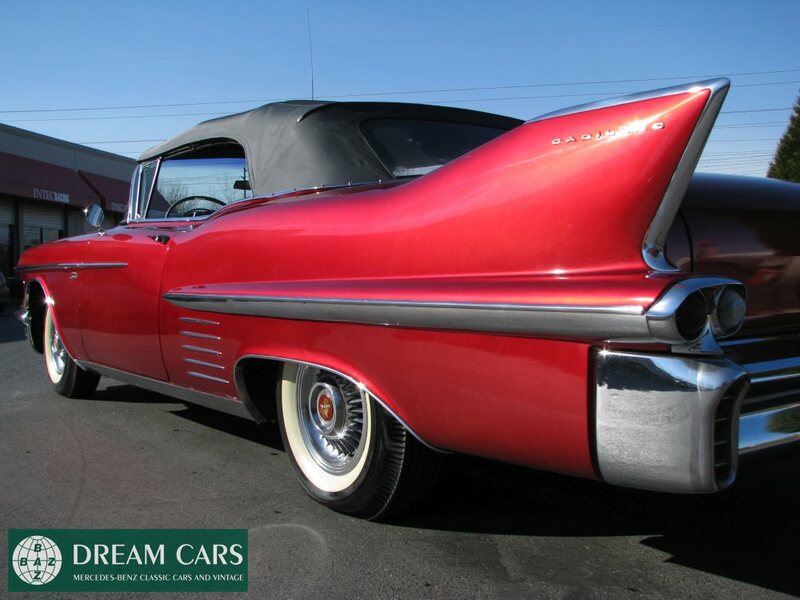 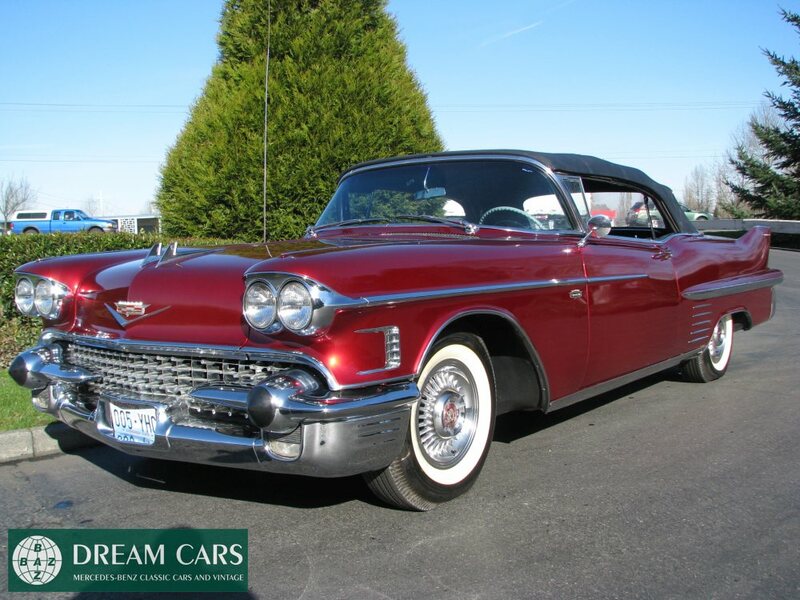 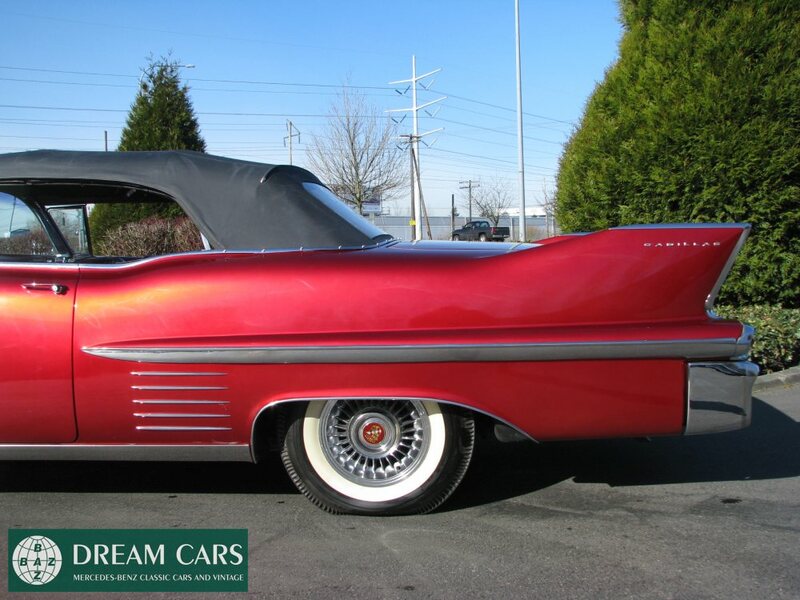 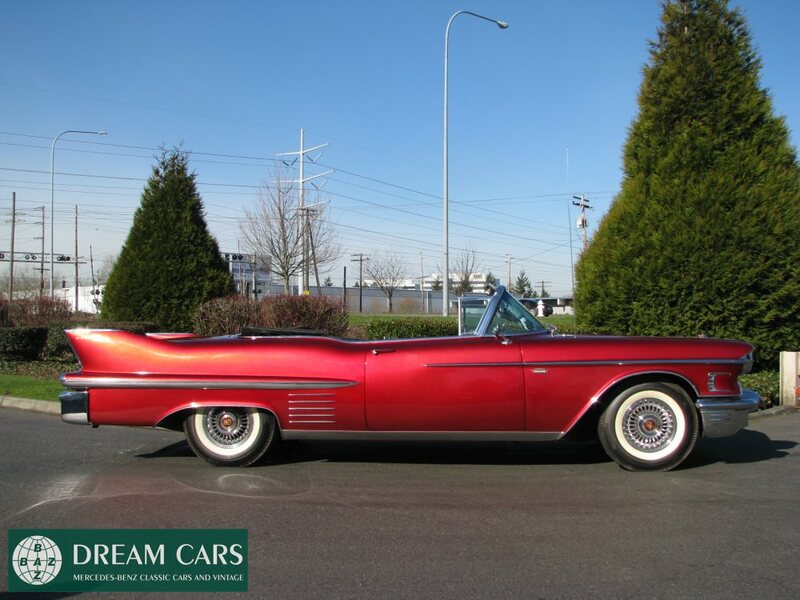 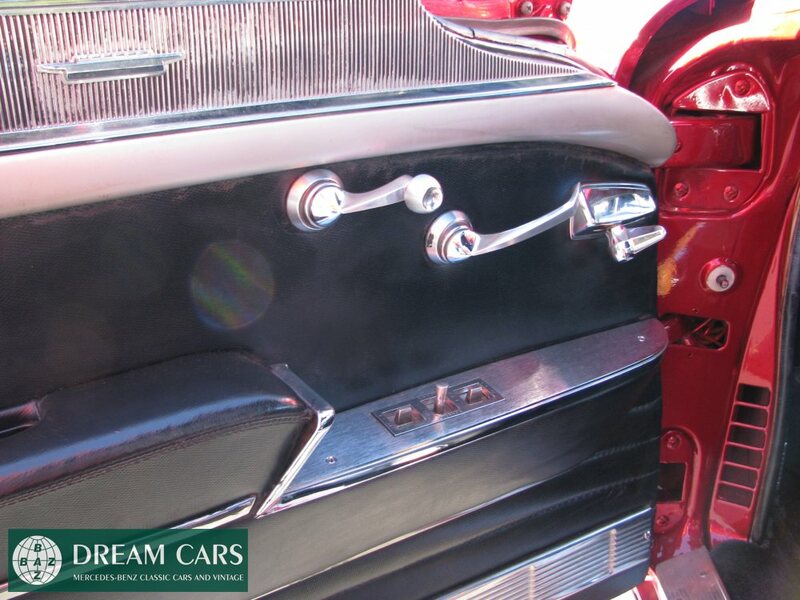 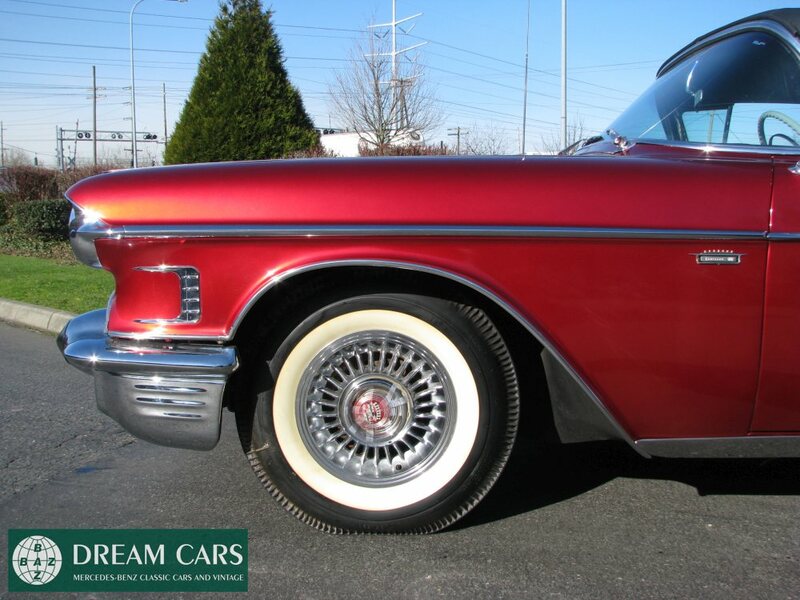 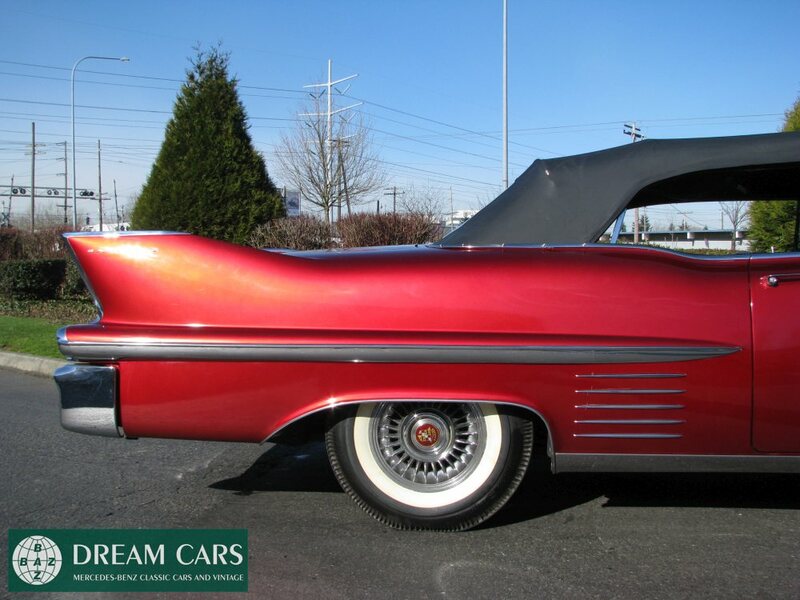 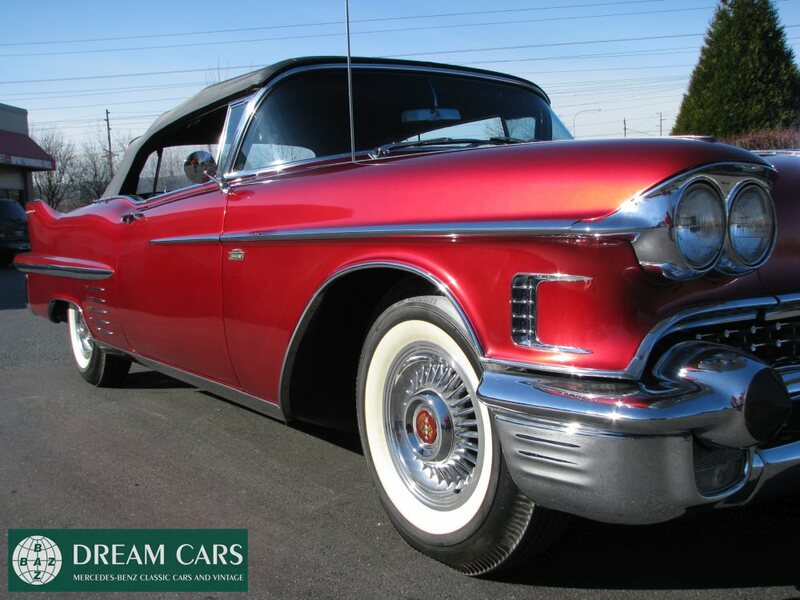 This is a once in a lifetime opportunity to acquire what we believe to be one of the nicest and most authentic 1958 Cadillac Series 62 Convertibles on the planet today.